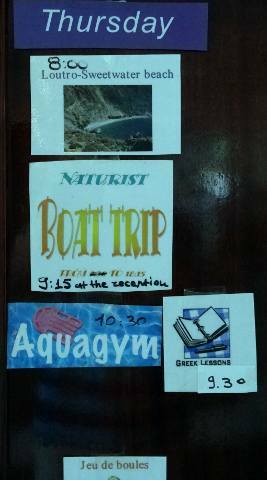 I’ve been to a very nice naturist hotel in Crete (one of the Greek islands). 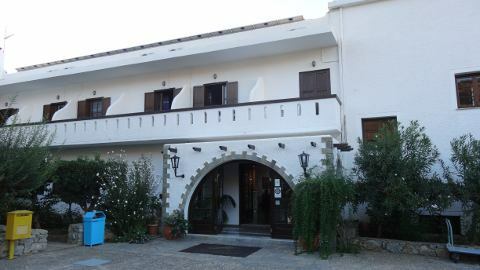 The hotel is called Vritomartis. The name stems from a Greek Goddess who was (and perhaps still is) the patron of fishermen. What can I say about Vritomartis? A lot. First: it was perfect for my needs for vacation. A quiet place, far from busy crowds, mad traffic and all that. If peace and quiet isn’t your thing, don’t go to Vritomartis. If you like meeting nice people, friendly staff, clean rooms, excellent food, space and time to breathe and relax while wearing what you like best, then you need to go to Vritomartis. The nearest ATM / bank machine is in the village, there is no such thing at the hotel. Good to know if you plan to visit Vritomartis. What can you do? There are several hiking tours through the many gorges which make this region of Crete famous. At least one hiking tour is (mostly) naturist. 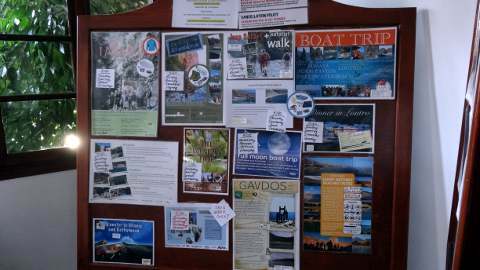 There are jeep trips, naturist boat trips, visits to archaeological sites and bunches more. For those less inclined to go out there are activities as well. The hotel staff provides lots of fun things to do, like Greek lessons, aquagym, volleyball, shuffle-board, tennis and petanque / jeu de boules. 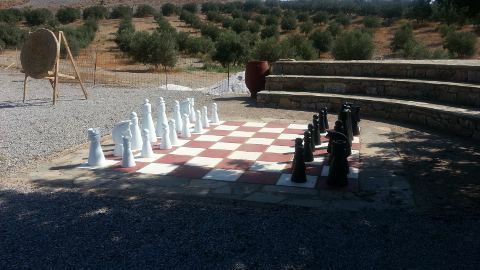 There is even a big chess board for if you like chess, and my favourite was the archery hour. Everyone at Vritomartis can do and leave what they want. Feeling fine just hanging around at the pool or strolling through the garden? Stroll and hang around. As you can see, I’m quite taken with this hotel. I’m quite certain I’ll come back here. Curious? 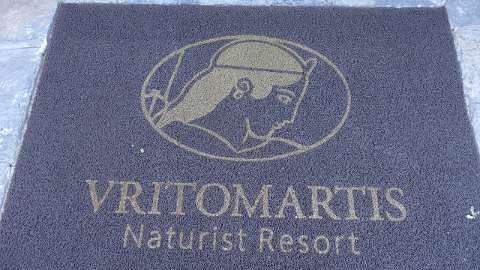 See more about the hotel at their website, or wait for the second part of my Vritomartis experience! Thank you for sharing. It would be absolutely great to run their beach concession, I’d do it in an instant too! I’d even learn Greek for that!